Join Oregon and Washington lake advocates for the 2018 combined OLA/WALPA conference – September 26-28 in Portland! 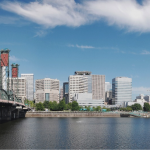 Members of the Washington State Lakes Protection Association and the Oregon Lakes Association will join forces this fall for a conference on the shores of the Willamette River in Portland. Gather with us for sessions, workshops, and more September 26-28! Wednesday’s workshop topics will include algae and cyanobacteria, aquatic invasive plants and animals, and you’ll have the chance to refine your lake monitoring skills in “Limnology 101.” Thursday will begin with a plenary talk by Dr. Daniel Schindler of the University of Washington School of Aquatic and Fishery Sciences. Sessions to follow will focus on harmful algal blooms, outreach and education, aquatic plant management, toxics, climate change, and presentations about urban, mountain, and dryland lakes. Many communities have experienced lake closures caused by toxic cyanobacteria blooms. 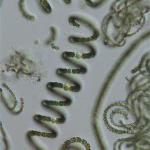 Recent scientific studies suggest that the frequency and duration of cyanobacteria blooms has increased significantly over the past 200 years, especially since 1945 (Taranu et al. 2015). Not all cyanobacteria produce toxins, and not all blooms release harmful levels of toxins. 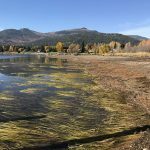 But identifying which types of algae are potentially toxic and understanding the factors associated with toxic blooms are important steps in protecting the public from harmful blooms. 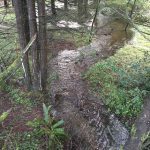 The Bear Creek Watershed Management Study is a multi-jurisdictional approach to restoring and preserving habitat and water quality in a developed watershed. Restoring and preserving many of Washington’s lakes will likely require work by multiple stakeholders to address similar issues: stormwater, land use, instream habitat, and upland habitat. In the early 2000s, when Dr. Jim Gawel started measuring arsenic in lakes with his undergraduates, he wasn’t expecting to see much of it in the water. “Normally, when oxygen is present, arsenic tends to stick to particles and fall out of the water column,” he explained. After that it tends to sit at the bottom in the sediments.